Sadly, no matter how wonderful Spring is and how much I love it, my allergies issues make my face HATE Spring. 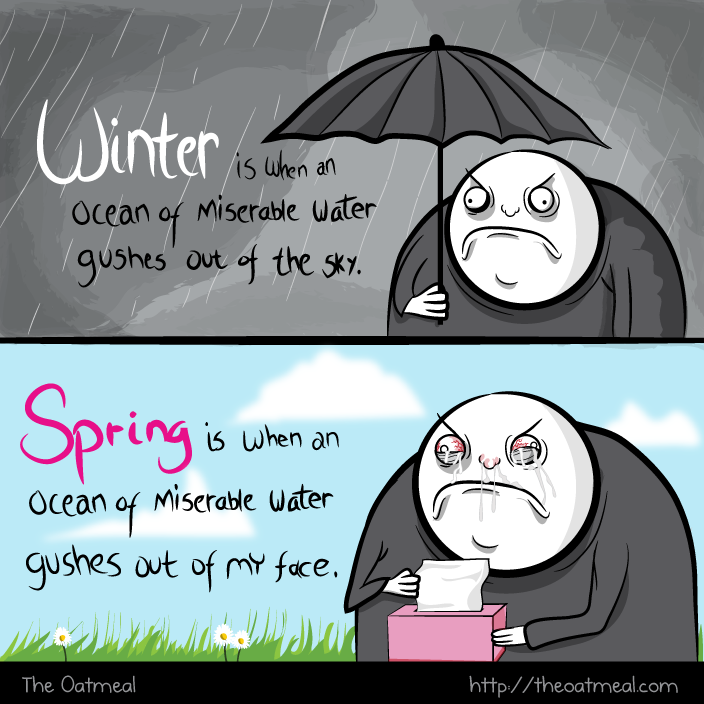 This Oatmeal comic is the perfect explanation of what I go through Every. Single. SPRING! Ugh!